Are you looking to have your windows installed or replaced? When considering a window contractor, Cicero IL residents have found out for themselves the great service and fantastic job performed by Best Windows Inc. Lets take a moment to discuss what Best Windows Inc. can do for you, and how we beat out the competition. Best Windows Inc. installs and replaces windows, will do remodeling and siding work, and can work with you with whatever task you would like assistance with. With 15 years experience working in the Cicero community, we understand that residents want the straight facts without any hassle of pressure. That is why we have a hassle free, pressure free business model that puts the customer first. Our care and attention to the needs of our customers are reflected in our outstanding relationship with the BBB, our Energy Star rating, and our recent 2014 Angies List award for superior service. 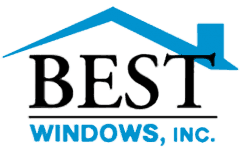 One of the greatest benefits of working with Best Windows Inc. is the savings. When working with us, you work directly with the owners of the windows. Because of this, you will not be charged any additional costs associated with either commissions or sales. When combined with our ultimate goal to provide quality service, quality products, the best warranty, and the fastest delivery, it is easy to see why Cicero residents rely on us. 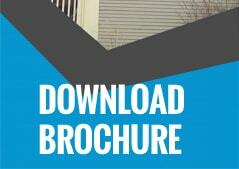 If you are looking for a window contractor, Cicero IL has a number of options. However, it is our hope that you will choose us. With a knowledgeable and experience staff, we work to quickly get in and out while providing an expert job that will last for years. At the heart of our business are the fantastic windows we use. With a design that incorporates low E coated glass filled with argon gas, you get a superior product that is capable of regulating interior temperatures better then the competition. In addition, the NFRC U-rated .27 or below aids in how much protection your windows provide for interior furniture. Along with a tilt-in feature for easy cleaning, our windows are incredibly easy to handle. Finally, a foam-filled frame and sashes help to provide an additional level of insulation for your windows. If you have any questions or would like to learn more, then please give us a call at (708) 204-2446. In addition, our website has a lot of useful information as well, including past client reviews that you may find useful. Visit Bestwindows.net for more information about window contractor Cicero IL.